If ever there was a company that is happy Facebook doesn't have a dislike button, it is American Airlines. That is because the airliner has been given the not-so-wanted honor of being the world's most hated airline on social media sites, thanks to a analyses of multiple social media analytics firms. Amplicate, which tracks sentiment for businesses and services on social media sites, has just revealed the results of the research it has conducted over the past year. The research from Amplicate has revealed only 12% of opinions on American Airlines were positive on sites like Twitter and Facebook. When you compare this to the 97% positive opinions garnered by Virgin America, the numbers are pretty detrimental. However, travelers are usually chock-full of complaints against U.S. airlines on social media sites. Overall, 57% of comments on U.S. airlines were negative according to Amplicate. Thankfully, at least in American Airlines' opinion, the airliner wasn't the only one to receive negative reviews. Other airlines that received less than stellar comments include United Airlines, US Airways and Delta, which ignited a firestorm with social media enthusiasts when it charged men and women returning from war extra fees for extra baggage. This move resulted in outrage, making June the most active month for airline hatred on social media news sites and earning Delta over half of all the negative comments made during the month. 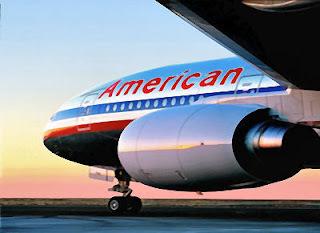 However, this didn't seem to be even enough to keep American Airlines from becoming the most hated. Other top positive airlines aside from Virgin America include JetBlue as well as Southwest according to Amplicate. On a world-scale, British Airways holds the top spot for most loved airline, followed by Virgin America, GFaruda, JetBlue and Southwest.